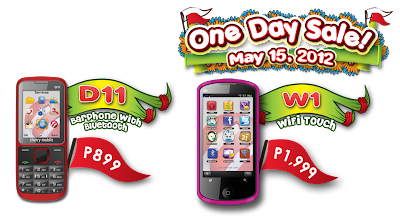 Home Cherry Mobile Technology Cherry Mobile D11 and W1 on Sale Today! Cherry Mobile D11 and W1 on Sale Today! Again, this is only a one day nationwide sale so, hurry up and get the best handset for you!